Stringray Café sits towards the end of Highbury Barn. It looks shabby. It looks pretty average. But what makes Stingray Café stand out is the bustle. You can look through the windows on any evening and be sure to see smiling groups and couples heartily enjoying their pizza and pasta. As someone who also has a secondhand cat and an ever-expanding wardrobe to support, finding cheap places to eat that are also good, especially around Highbury and Islington, is a constant thrill. I did once stoop so low as to venture into the Famous Chicken N’ Pizza place and my body still holds it against me. Cheap eats as good as Stringray Café are hard to find. Stingray Café is renowned for its generous and delicious pizzas but also serves up jolly good portions of pasta too with all the classics on hand. Its steak dish is a winner and is a treat for when you’re feeling flush (although it’s still pretty good at around £12). On a recent visit one Friday, we discovered it is a firm favourite with Highbury & Islington residents as we bumped into friends who had lived in the area previously and who return regularly for their Stringray ‘fix’. That evening, I was brave and went for the ‘Stringray’. It has the usual tomato and mozzarella. As well as salmon and avocado. I know – strange, huh? I shouldn’t have doubted it – the ingredients were fresh, the pizza was perfectly cooked (crispy round the edges and slightly squishy in the middle) and it was the size of a small giant’s head. Tom went for a Quattro Stagioni but was a little disappointed at the dearth of the jalopenos he’d asked for in addition. Stringray Café is family friendly and there are often little ones running around or concentrating hard at some drawing. However, and I don’t know if its something in the water, they all seem fairly well behaved and dare I say it – it’s actually quite nice having them around. 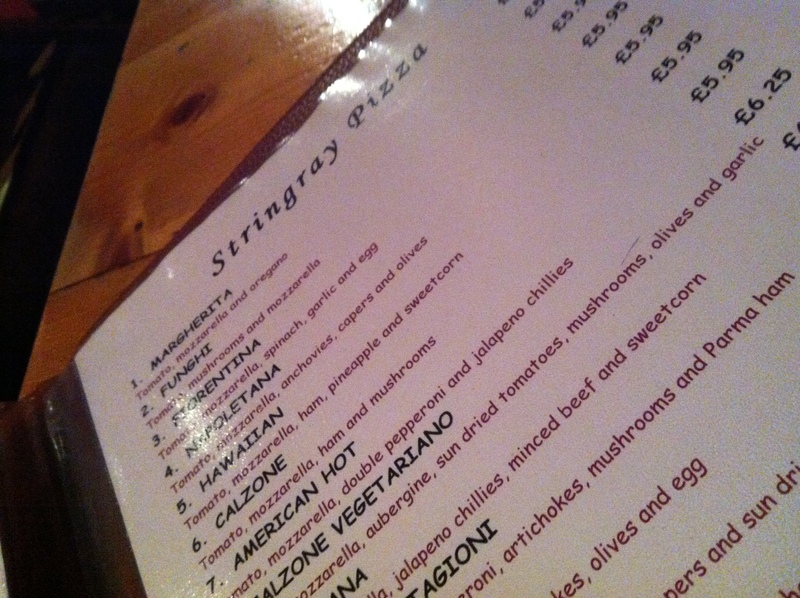 For anyone wanting a decent, tasty and cheap meal, Stringray Café should be on your list. Bonus is that they also cater for gluten-free requirements. Best for: A cosy, romantic candlelit dinner. If you don’t mind kids. 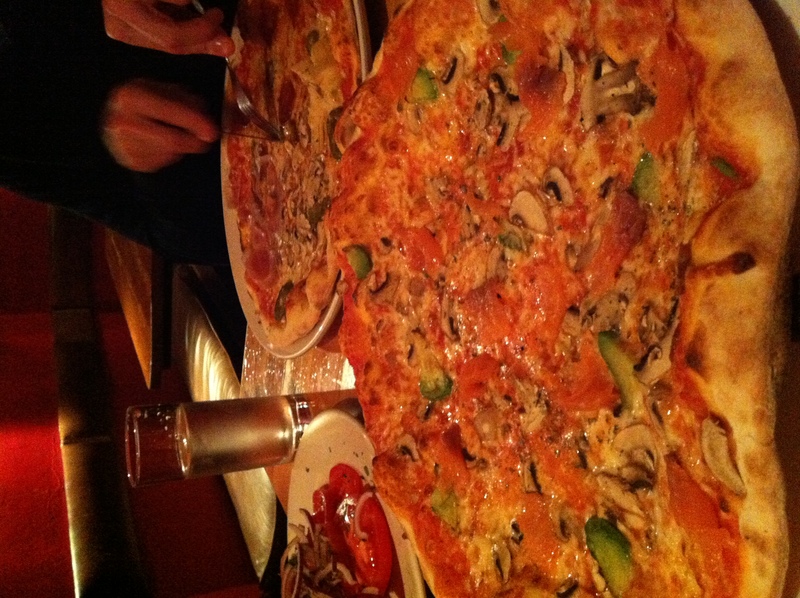 Best bit: The Pizza and Beer deal for £5.95 available from 9pm every night.